Budgeting as a single mom can be a be quite different from budgeting as someone in a two-income household. On the bright side, you don’t have to worry about compromising with someone else and getting on the same page. However, you will have to consider being stricter with your money since there is no other income to fall back on. If can be hard to juggle all the finances by yourself. Trust me, I’ve been there. 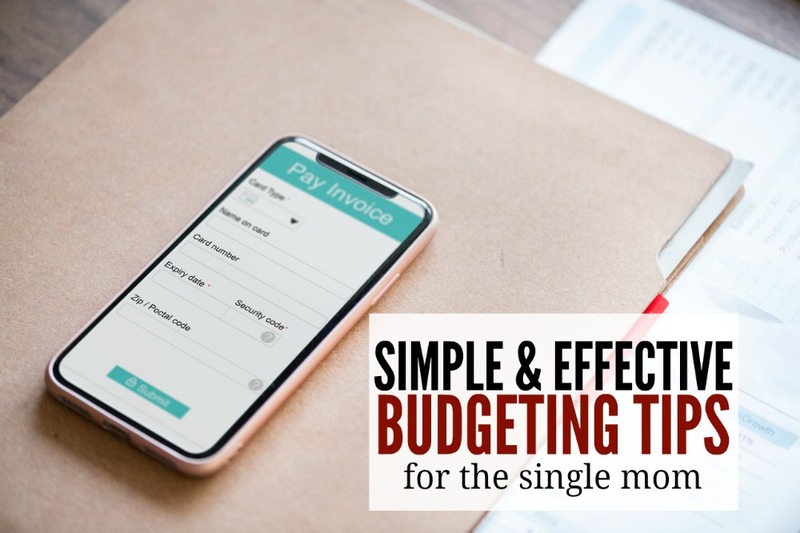 I’ve pulled some tips and strategies from single moms’ resources and personal experience to compile a list of effective budgeting tips that can help you manage money better and stress less about financials. Here are some simple things you can do if you’re single mom trying to organize your budget. The simpler your budget is to start, the better. You don’t want to put too much on your plate and feel pressured to overwork yourself. Start by creating a basic bare bones budget which just includes basic spending categories you need to survive and live comfortably. Your bare bones budget should include non-negotiables like your rent/mortgage, utility bills, a groceries estimate, insurance, etc. It’s important to make sure you can cut your basic necessities at minimum. If you have anything extra left over, that’s when you can start adding additional spending categories and ranking them in order of importance. I know that most parents’ initial instinct is to feed their family as soon as they get paid. Growing up in a single parent household, my mom would always take pride in being able to put together a nice meal no matter what her financials were like at the time. My mom also always said that people will feed you but they won’t pay your bills and that’s so true. As a single parent, you may want to prioritize paying your bills first before grabbing groceries. With no second income to fall back on, it’s important to keep a roof over everyone’s head and provide that stability. Then, grab groceries with the money leftover according to your budget. You can’t overspend this way either since you don’t have to feel tempted to cut into other money for important needs since those expenses will already be taken care of. You can’t spend what you don’t have and there are plenty of ways to get healthy food for cheap and save money with careful meal planning and prep. This is a great budgeting tip for anyone. There are so many things you can buy used from clothes and furniture to toys and cars. Do your wallet a favor and buy used items as you see fit then save the different or put it toward another category in your budget. I always buy used clothes for myself and my son and it saves us a ton of money. I also only buy used cars and bought a lot of used furniture for our house when we moved. Buying used and shopping around helps you stick to your budget and get more bang for your buck. I prefer it over using a credit card to cover expenses that I can’t even afford in the first place. Even if money is tight, it may not seem like it when you buy more used items. Getting ahead on your bills and not living paycheck to paycheck will allow you to feel more financially secured and prepared for whatever the future holds. One of the easiest ways to get ahead on bills is to pay it forward when you receive a lump sum payout. If you receive tax refund, rebate, or bonus at work, take that extra money that you might not have expected and use it to catch up on bills or pay down debt. One year I used my whole tax refund to pay down my car but it was worth it. I no longer have that extra bill to worry about. You may also want to get a month ahead on your house payment or pay for insurance 6 months at a time. Getting ahead with bills will help decrease your financial burden and make managing your finances much simpler. Most people could benefit from a good side hustle. 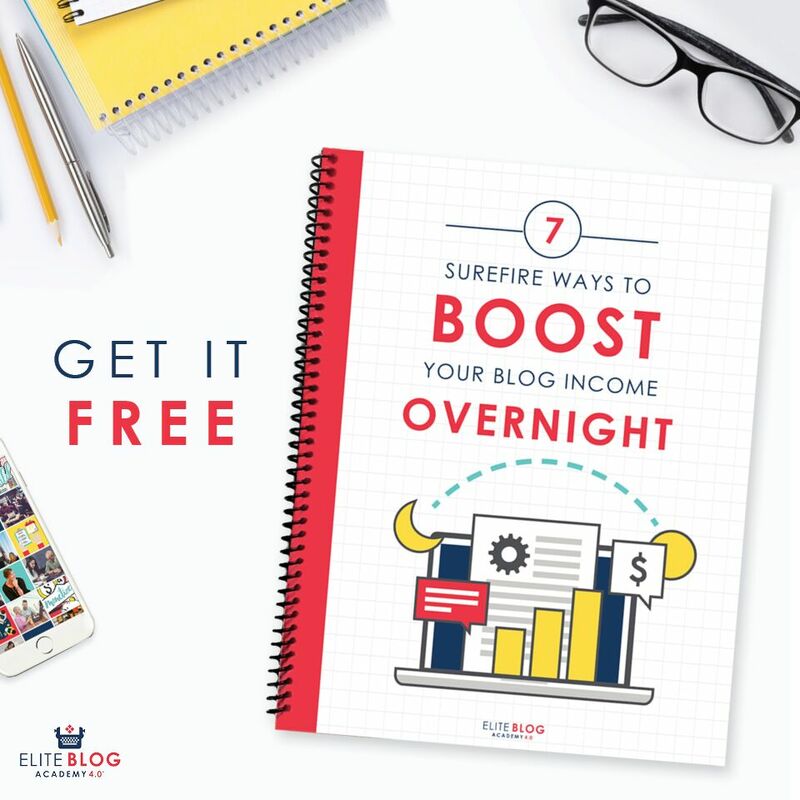 If you’re a single mom looking to make extra money, there are so many great ways you can make extra money and work around your kids’ schedules. Working online is the most flexible option and you can freelance, transcribe videos, test websites, or do sales or customer service work. While the extra money you make may fluctuate, you can put it toward flexible expenses and wants like outings with the kids, extracurricular activities and vacation while your main paycheck covers basic living needs. Again, this is a budgeting tip all people should follow but if you’re a single mom, it’s crucial. Unexpected expenses will pop up and even though you’re only relying on your income, it’s wise to develop a solid backup system. Be sure to add a savings category to your budget and add money to an emergency fund whenever you get paid. You don’t have to contribute a ton of money if you’re just starting out. Just set a realistic goal and work toward it. Saving something is better than nothing. 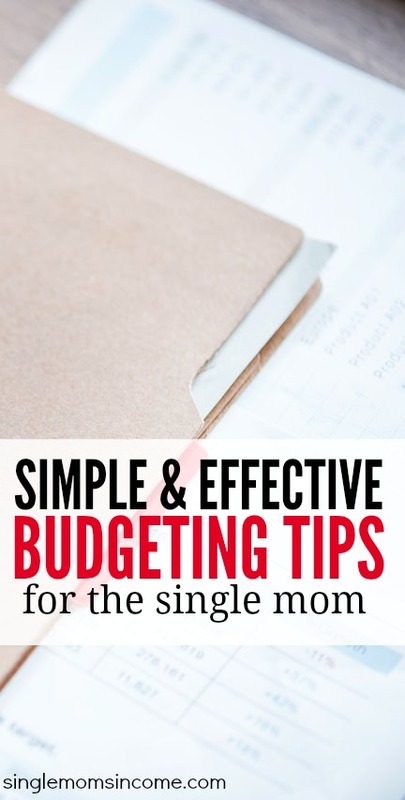 What do you think about these budgeting tips for single moms? Do you use any of these already? Great post! I really like that you start off with saying to keep things as simple as possible! I think that makes for a good foundation to build everything on. Yes, simplicity is key. It’s so easy to get overwhelmed with finances especially if you have debt or are a single parent.